Musician, rapper, and record producer Wyclef Jean founded the Yele Haiti organization in 2005 to raise funds and support projects in his home country, with a focus on education, health, community development, and environmental issues--especially reforestation. But this week's earthquake brought the organization into the spotlight as Jean and his team joined up with AmeriCares, Friends of the World Food Program, and other fundraising groups to form the Haiti Earthquake Alliance.Beginning saturday, the Alliance will send airlifts of medical equipment, food, and other supplies to the ravaged areas of Haiti. Meanwhile, Jean set up a simple text message donation program that has pulled in $2 million (just $5 at a time) as of this afternoon. If you haven't given yet, it's easy: text "Yele" to 501501 and the $5 charge will show up on your cell phone bill. Want to give more? Donate through Yele Haiti's website, see other green organizations that work in the country, or check out these other ways to give. While Jack Bauer has been saving the country, the business side of 24 has been working on an even bigger project: protecting the environment. 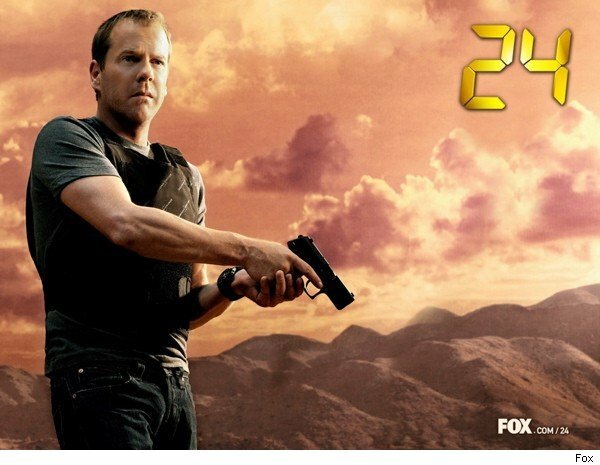 The show won the Environmental Media Association's first Green Seal Award in November for its carbon-cutting efforts and, as the clock starts ticking again this Sunday, star Kiefer Sutherland told Mother Nature Network, "When we started around season 4, the goal was to make 24 and not leave a carbon footprint. I don't know if that's possible, because we have to drive to work, but all of the trucks we're using are hybrids.We're not using gas fuels and there are a lot of things being done within the office and the production building as well."